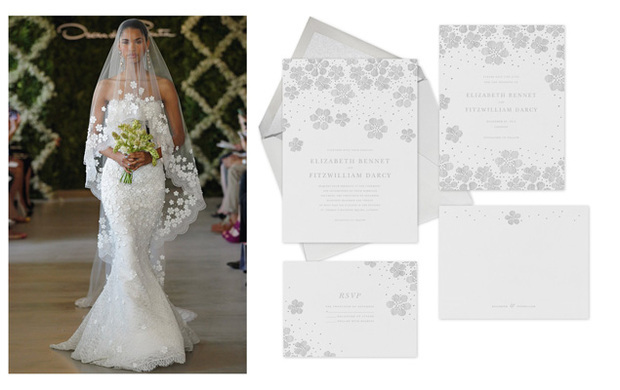 Another fashion designer launches a highly distinctive and exclusive 50-piece line of wedding invitations and announcements – Oscar de la Renta pairs up with Paperless Post!! 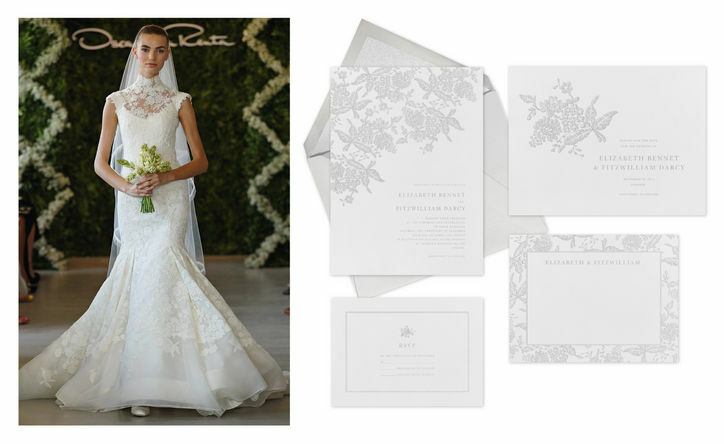 The following pictures are a glimpse into this luxury designer’s inspiration for his stationery designs straight from his most recent bridal, spring, resort and pre-fall runway collections. Blossoms on Tulle II wedding invitation image courtesy of www.washingtonian.com. Hydrangea Lace II wedding invitations image courtesy of www.glamour.com. 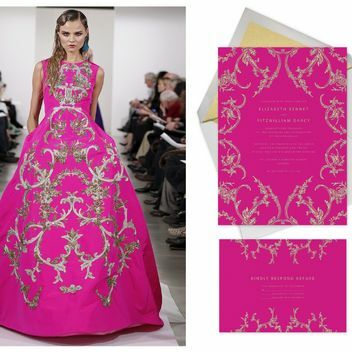 Silk Brocade II wedding invitation image courtesy of www.glamour.com. Brush Stroke invitation image courtesy of www.glamour.com. Rose Floral Ikat II invitation image courtesy of www.glamour.com. Parrot Tulip invitation image courtesy of www.glamour.com. Tartan Spring Plaid (left) and Technicolor Plaid (right) invitations images courtesy of www.vogue.com.